Washington - Do you text or otherwise engage with a small screen during a social gathering? A U.S. survey suggests you are not alone, even if you are annoyed when other people do exactly the same thing. 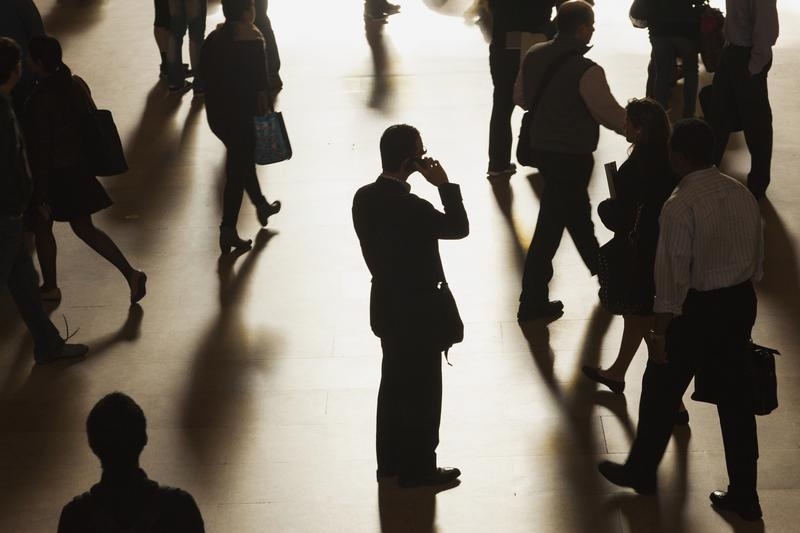 The Pew Research Center survey on shifts in what is acceptable in an always-wired world found 82 percent of American adults say that using cellphones hurt conversation in social gatherings. But even more people - 89 percent - say they used their phones during their most recent get-together, including for texting, talking and for a photo. Lee Rainie, Pew’s director of Internet, science and technology research, said the survey underscored big issues about how technology is disrupting longstanding rules on human interaction. “We’re in the middle of this enormous social transformation where the rules of the road aren’t clear and so they’re constantly being negotiated,” he said. The survey of U.S. adults showed that 92 percent had a cellphone. Of those, nine out of 10 said they were always with them. Cellphone use in social settings tends to be tied to the event itself, with 45 percent of people posting a photo or video of their most recent gathering, the survey showed. A smaller number - 16 percent - said they turned to their small screen because they had lost interest in the group. Some cellphone use is practical: while in public spaces, almost two-thirds of cellphone users look up information about where they are going or how to get there. But about 23 percent of cellphone users said that at least occasionally they turned to their devices to avoid contact with other people. Asked when cellphone use was “generally OK,” 77 percent said while walking down a street and three-quarters said on public transportation. Five percent said it was usually OK at a movie theater. Cellphone etiquette became a policy issue in the United States in 2013 when Federal Communications Commission Chairman Tom Wheeler said the agency was considering allowing in-flight calls on planes. After criticism about passengers having to listen to neighbors during flights, Wheeler said he personally opposed in-flight cellphones and the decision would be up to airlines. The FCC cellphone proposal is still pending. The survey was done from May 30 to June 30, 2014, among 3,217 adults, including 3,042 with cellphones. The margin of error for the full sample is 2.2 percentage points, and for the cell-user sample 2.3 percentage points.